Been a while! I’m thinking of changing the format for this into shorter “thought posts,” hopefully to be published every week or so. Feel free to give feedback in the comments! Promotion is a curious word. I wonder if it was a conscious choice to use the word in regards to going up in the ranks. A quick Google search gives two definitions. The second definition is the raising to a higher position, but it’s the first definition that makes me curious. BJJ is a community, and I’ve always been of the mindset that you can’t roll alone. 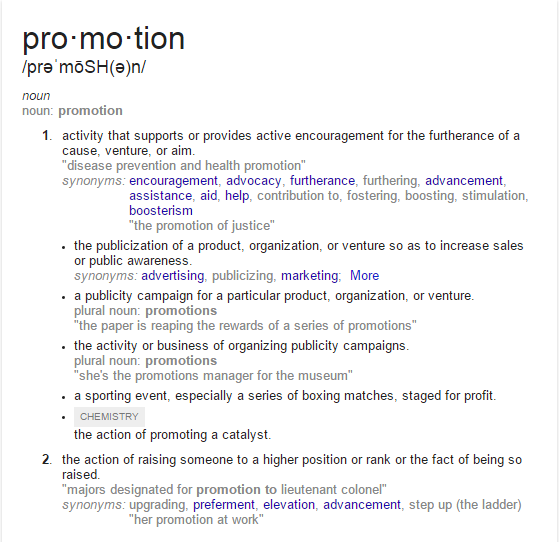 So if we take this first definition of “promotion,” it’s not just for the sake of the person being promoted – it’s also for the sake of others not getting promoted (giving them encouragement and goals), for the community within the school (to bring people together in recognizing each other’s efforts), and the community outside the school as well (giving others a glimpse into life within the school and even encourage others to join).